Awesome Outdoor Products sell First Team Basketball Goals. First Team proudly manufactures American Made basketball equipment, soccer goals, volleyball sets and more for all levels of play. They have been making sports equipment in Hutchinson, Kansas since 1996 and pride themselves on the quality of their products. With models in their lineup that are suitable for indoor and outdoor play, and for uses at home, on the blacktop or inside a gym, you can find a hoop for every level of play here. 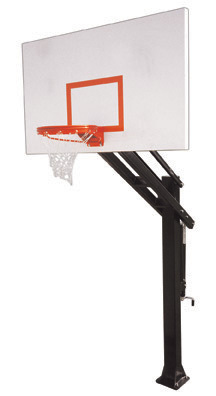 They have a wide array of adjustable, portable and in-ground basketball goals. First team has what you are looking for and it's guaranteed to be built with care in AMERICA.